Agents in real estate do an array of things in order to host a successful open house. They often check out the competition, visit other open houses in the neighborhood, and prepare the home. 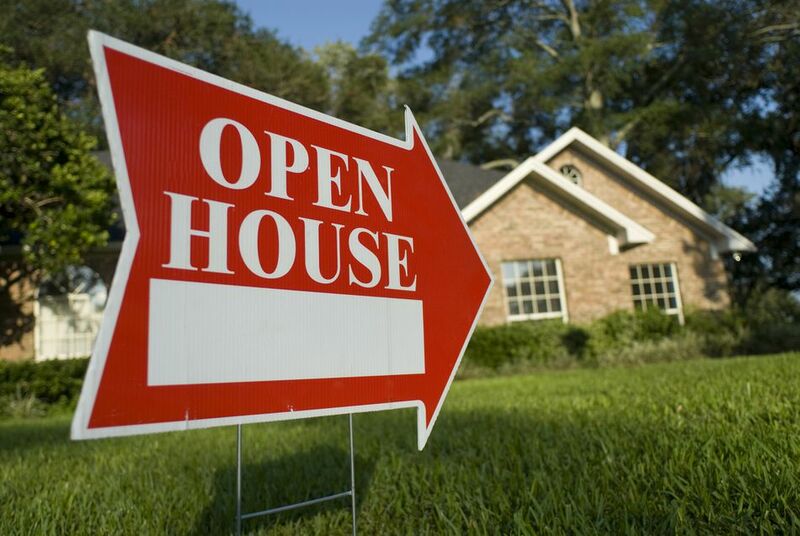 Here are a few tips new agents and everyday homeowners can use to set up an open house. Talk to experienced agents or brokers with experience to find out the days and time of day that has worked best for them for open houses. Check the newspaper and other advertising media to see when others are holding open houses. This is particularly helpful if there are others in the same subdivision or nearby areas, as they will help to generate traffic for you. Allow time for effective planning and marketing. Generally, allow two or more weeks to get it all together for a successful open house. An open house usually lasts for about two hours. Keeping yourself and your home safe during an open house is key, as many strangers will be coming in and out. This involves checking your insurance policy to see what it covers, protecting your property and valuables, and letting neighbors know when the open house is happening so they can be aware. Don't become a crime statistic during your open house. Unfortunately, it happens more than you might think. Plan and prepare with safety at the top of your list. Scheduling the right time for an open house makes all the difference for potential buyers. This type of home showing allows the general public to look around, get a feel for the place, and ask questions. In order to get people to show up, it's important to utilize several different modes of marketing and advertising. Place a classified ad in the appropriate section for open houses. Put up open house signs at the home and directional signs along the way. If you subscribe to "Enhanced Listings" features at Realtor.com, there's a place for open house information. Those with a website, blog, or social media sites can place the information on there a few days or more before. Post open house postings on community calendar sites that are popular and allow them. Similarly, you can place an ad in the subdivision newsletter. Throwing an open house can be exciting for both sellers and potential buyers. This opportunity allows people to swing by without an appointment for a specific period of time. Having a large number of showings in a small time bracket creates demands, reduces disruption, and even creates competitive bidding wars. Park your vehicle so that there is plenty of room remaining for visitors. Some will drive by and not return if there is no parking available on their first drive-by. Curb appeal can't be stressed enough. Make the exterior of the home as attractive as possible. This is critical for your visitor's time when there are plenty of other homes on their list for the day. Also be sure to remove debris and clean the porch and entryway. Near the front entry, it's important to have color brochures, financing information, and home operational literature. You can also include utility costs, survey plats, and any other information that prospective buyers might want to know about. The goal is to make sure these pamphlets are accessible and noticeable. In fact, you can hand these materials directly to potential buyers or mention it before they leave. This takeaway literature is designed to prompt the memory of potential buyers at the end of a tiring day. Keep in mind that visitors are likely to have visited dozens of homes during a weekend to find their future house, so making it easy for them is key. It's important that an open house show off a clean home, organized closets, and a clear pathway for walking around. Those putting on an open house can go above and beyond by providing some soft music, the smell of bread baking, or another pleasant fragrance. In general, it's a good idea to make the home appealing as possible for any potential buyers. Home staging is also a good idea for an open house with little to no furniture. Staging a home can be done on a budget and often involves lighting and brightening a room, whiting out the bathroom, and updating kitchen fixtures. You never know when a prospect might become a client at an open house. Have the forms or a computer there to prepare documents. For open houses that get busy, it may be hard to talk to everyone one-on-one. With this challenge, it's possible that potential customers will leave early. To avoid this, provide sign-in sheets and other templates to gather information from visitors.